Former UKIP leader Nigel Farage has placed a £1,000 bet at 3/1 on his newly-formed Brexit Party winning the most seats if the European Elections go ahead on 23 May. The leading Brexiteer had the bet in the Star Sports Mayfair branch on Friday morning and will pick up £4,000 if his party is successful, although the bookmaker makes Labour favourite at 6/5. It has the Conservatives at 7/2, UKIP 9/1, Change UK 16/1, Liberal Democrats 25/1 and the Greens 125/1. Star Sports offers just 1/33 that the UK will be taking part in the EU election and 10/1 that Britain will not take part. 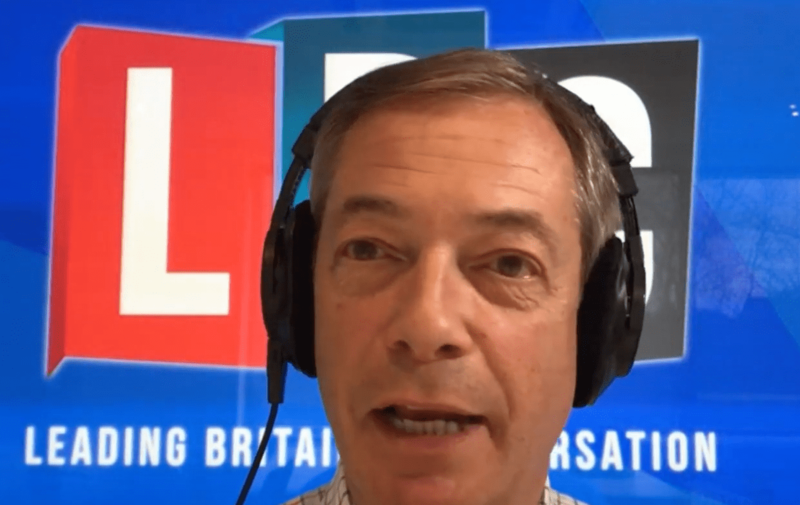 “If and when the elections go ahead, and the uncertainty the British public have in the two main parties of late, we suspect that many will be turning to Nigel to lead the way,” said Star spokesman, Gary Burton. Brits are so invested in the fate of Westeros and its Seven Kingdoms that more than three million are expected to consider ‘pulling a sickie’ to watch the premiere of the new series of Games of Thrones, set to hit screens at 2am on Monday. Employers in Yorkshire, Wales and the South East should be most wary, with 1 in 5 (21%, 18%, 18%, respectively) from these regions considering calling in sick this Monday, whilst those aged 16-24 are likely to be the biggest culprits overall, with a whopping 18% of British gen Z-ers considering pulling a sickie. The research, carried out by Culture Trip, the global startup operating in travel, media and entertainment, revealed Brits are putting locations used in the series on their destination wishlists with Iceland (16%), Croatia (11%) and Malta (10%) highest on their itinerary. A nationwide survey of Brits has revealed two-thirds (65%) have experienced something which knocked them off life’s path, including losing their dream job. The top three life setbacks suffered are loss of a loved one (51%), illness (42%) and heartbreak (33%). Over a quarter (28%) have experienced the devastating effects of losing a job they loved, while 19% said falling out with a good friend threw them off course. However, Brits are a stoic lot, with a brave 72% believing they got through a crisis and are stronger as a result of experiencing it. In fact, only 27% of those who took part in the study, said a disaster in life made them ‘give up’ completely. Eight per cent have experienced serious financial problems such as bankruptcy, while over one in twenty Brits (7%) have suffered the heartbreak of putting everything into their own business, only for it to fail. The study revealed the extent to which a traumatic event can hit people hard, with 34% saying a life experience shattered their confidence. One in three confessed that an incident in their life caused mental health problems such as depression or anxiety. The study of 2,000 British adults, commissioned by business investment and advice hub Founding Guru reveals 92% said they learned from the experience. Perhaps because of this, seven in ten of us believe their life is a ‘success’ no matter what setbacks they have faced. When disaster strikes, 35% of us turn to our partners, while mum is the second favourite back up, supporting 33% of us. Matt Haycox founder of Funding Guru added “Fascinatingly our findings show that suffering three major setbacks in a lifetime is possible to overcome, even if they happen in close succession which might give the Prime Minister some hope! Regionally, Northern Ireland was the toughest place to live, with people there suffering five setbacks, while the North East was the most persistent region with 83% of people rebounding right away from any setbacks.